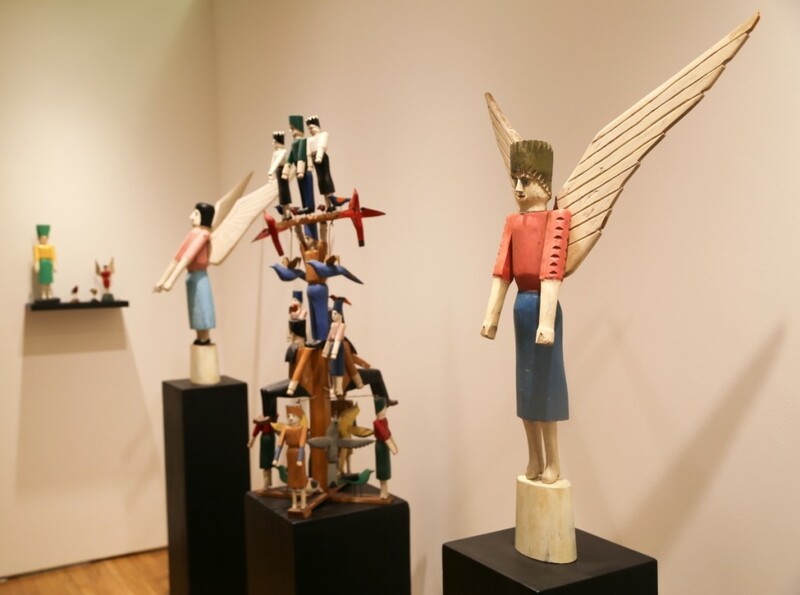 Carl Hammer Gallery, Chicago, exhibited the carved and painted sculpture of Wisconsin artist Albert Zahn. 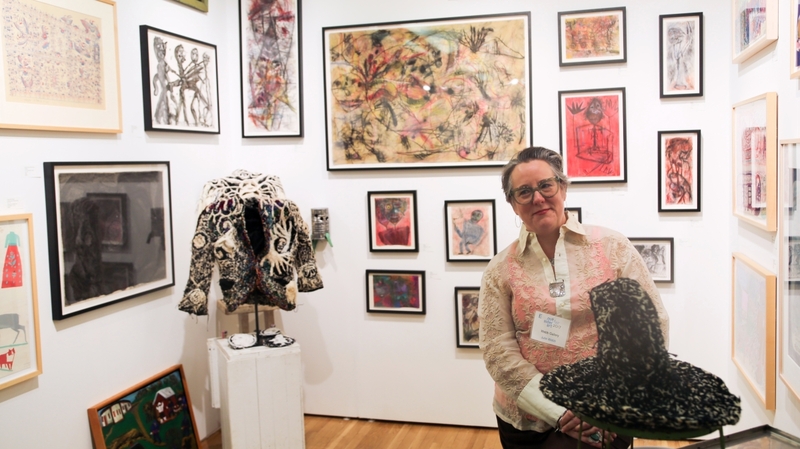 NEW YORK CITY – Steps echoed over the hardwood floor at the Outsider Art Fair as the show celebrated its 25th anniversary at the Metropolitan Pavilion January 19-22. 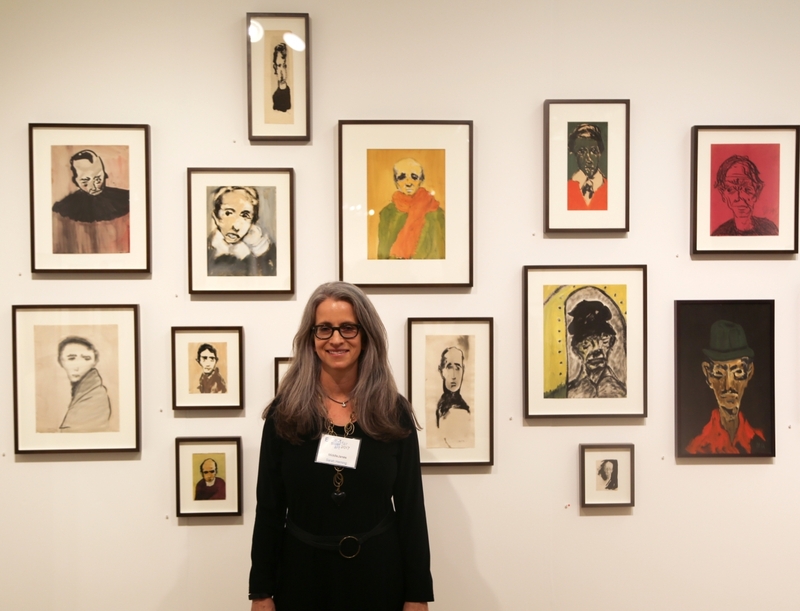 Outsider Art has seen a sharp increase in interest over the past few years, with the credit due largely to the very galleries at this fair who have focused their efforts in bringing recognition to the self-taught art genre. 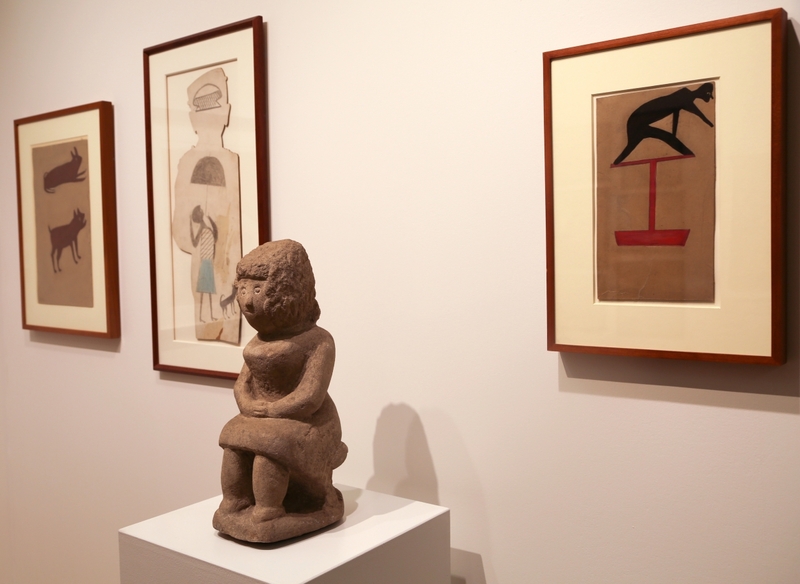 With secondary market prices reaching record heights for works by Bill Traylor, William Edmondson, Henry Darger and others, the art world is watching its baby grow into a beau. 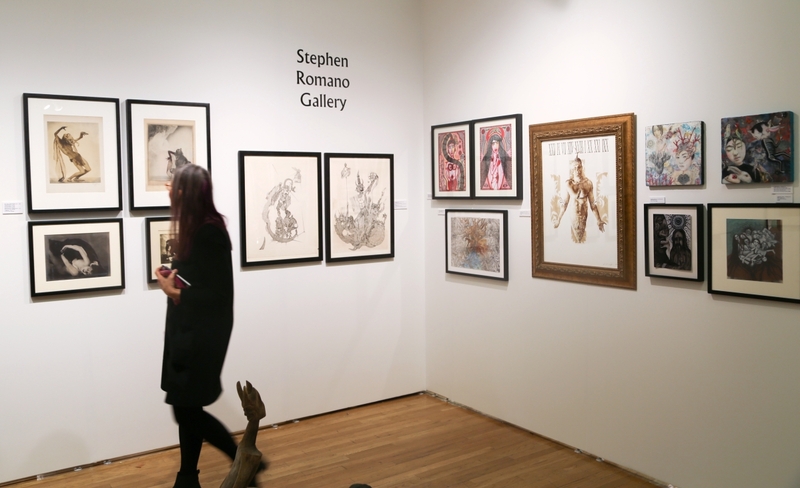 Whether the thirst has trickled in from the contemporary art market or onlookers find romance in the uninhibited style that accompanies the genre, more buyers are looking at outsiders as the new in. 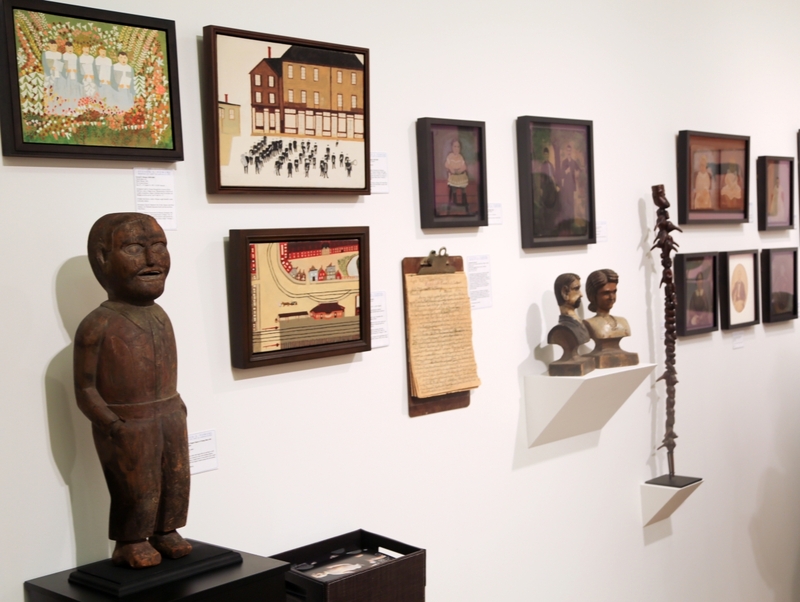 More than 60 dealers filled their booths with lively displays of fine art including sculpture, ceramics, paintings, drawings and objects that transcended contemporary works to American folk art. Carl Hammer Gallery, Chicago, exhibited three carved and painted wood sculptures by Albert Zahn (American, 1864-1953). During his lifetime, Zahn’s many sculptures were displayed in an art environment outside his residence in Wisconsin, which he dubbed “Bird’s Park” after the numerous carved and painted birds he made in addition to other animals and biblical figures. His work received little recognition during his lifetime and was picked apart by community members, only to be bought back slowly once his work received attention in the late Twentieth Century. His home was registered on the National Register of Historic Places in 2000. 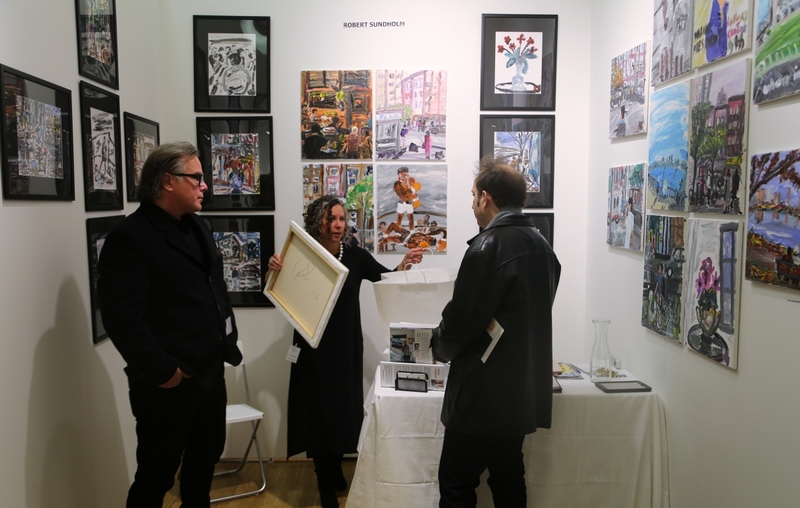 Visitors walked and talked through the booths at the Metropolitan Pavilion. 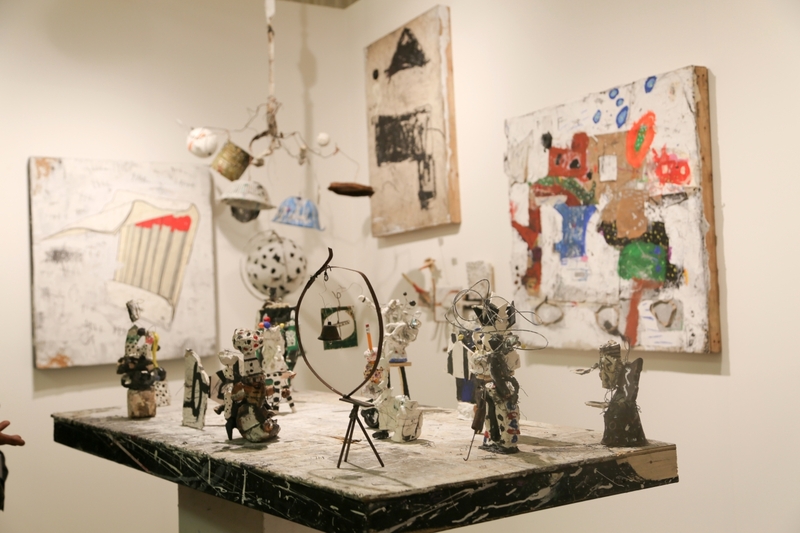 “He was a complicated guy,” said Tom Parker of Hirschl & Adler Modern, New York City, regarding artist Frank Walter (Antiguan, 1926-2009), the subject of the dealer’s solo show at the fair. Walter lived alone in a self-built house on a hill in Antigua without running water or electricity for the latter part of his life. The artist worked on found objects to create sculpture, painting and constructions, as well as practicing portrait photography and writing, with more than 25,000 written pages found after his death. Walter largely marginalized himself from his fellow Antiguans with his adamant belief that he was white, when he was, in fact, black. 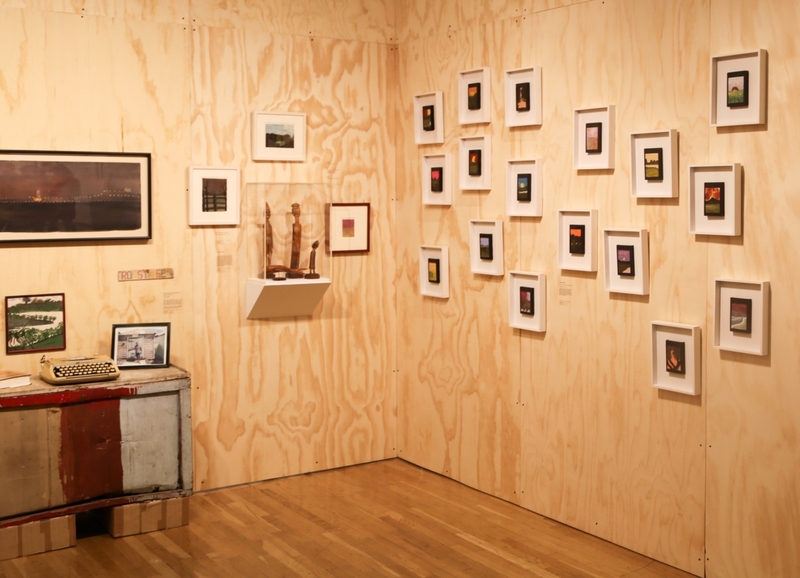 His idyllic paintings on Polaroid cartridges featured landscapes around the island, calm bays and the bright sunsets. Sitting in the center of the booth was a vivid terracotta toddler sculpture, found in Ohio, sitting on a thick stool in perfect posture with an attentive, wanting expression. On a nearby wall were paintings by Maine artist George E. Morgan, a man who had worked in a shoe factory and taught himself to paint in his 90s. 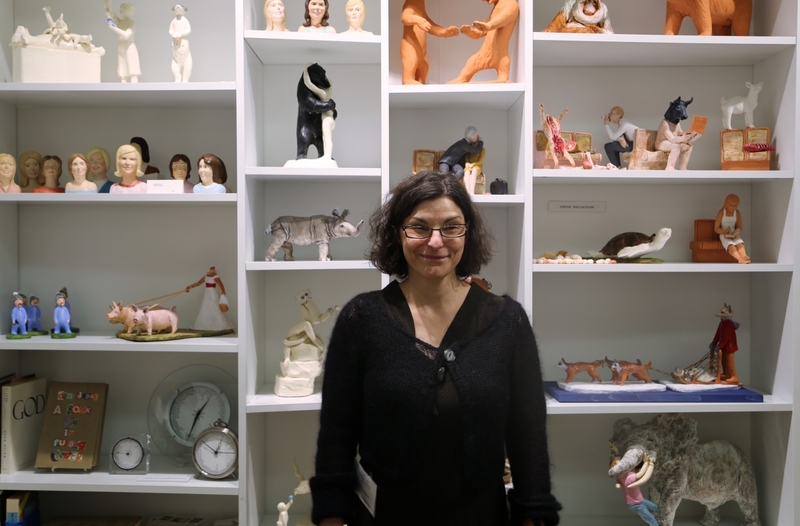 Morgan’s primitive images include classical American folk art scenes: a church choir centered in a garden of colorful flowers, a muted village center scene and a bird’s-eye view of the railroad station in Gardiner, Maine. 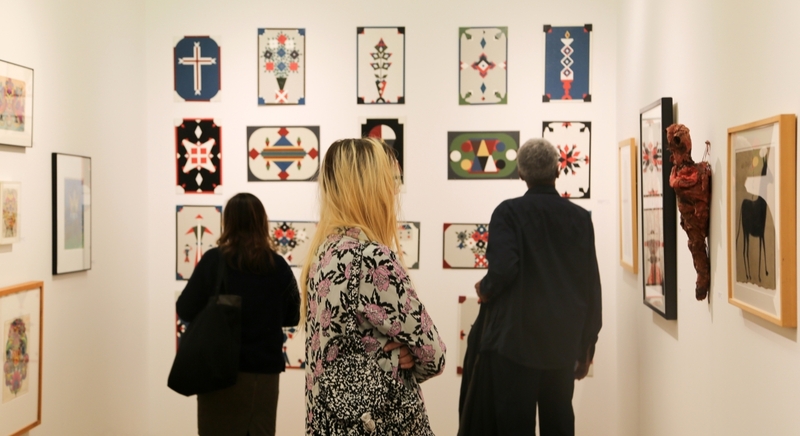 The colorful geometrics of Oskar Jonsson lured attendees into the booth of Luise Ross Gallery, New York City. 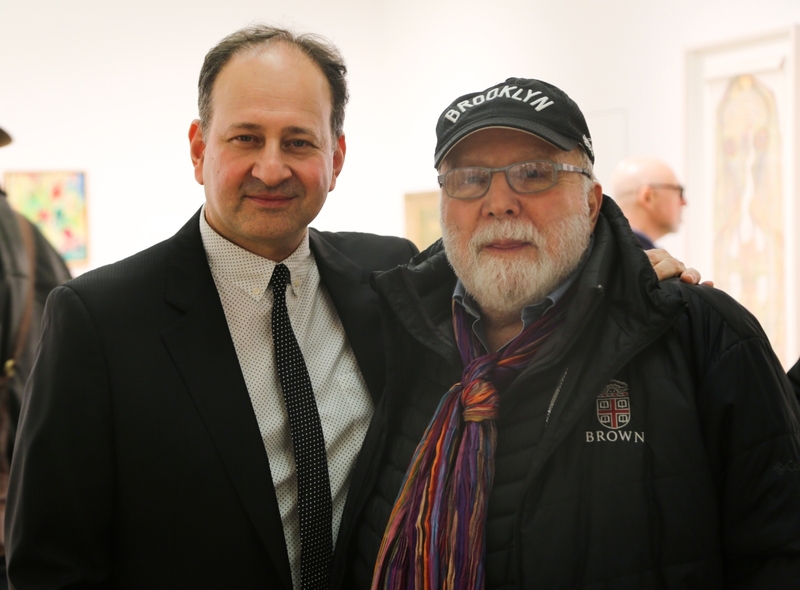 Aarne Anton of American Primitive Gallery, New York City, has been exhibiting at the show since it started 25 years ago. 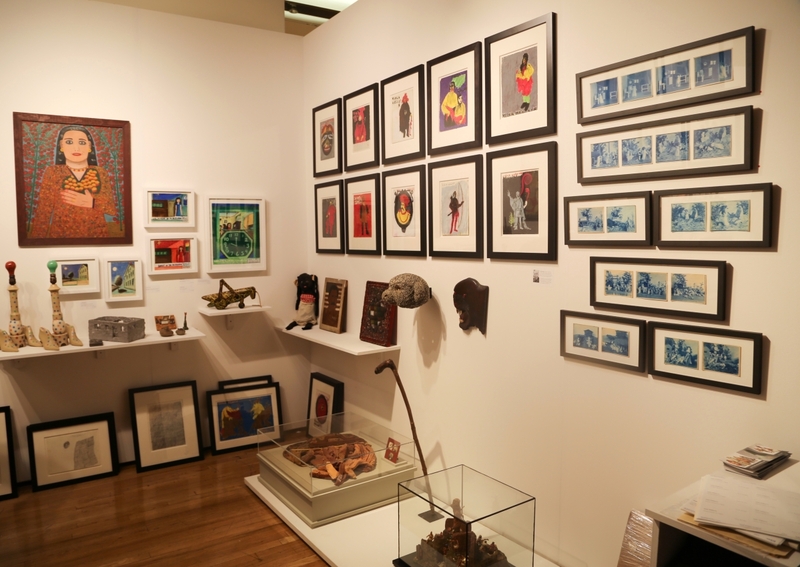 Anton featured the wild animals of Florida artist Reverend O.L. Samuels. A decorated elephant with a long trunk and hidden hinges allowed the work’s head to open and the body to be used as storage. The artist was afraid of being stolen from. A tense, maned cat with sharp teeth by Samuels was prowling next to it. The artist began working in wood when he was bound to a wheelchair after a tree-cutting accident. His grandmother had once told him to carve wood when he was feeling down, so he did. 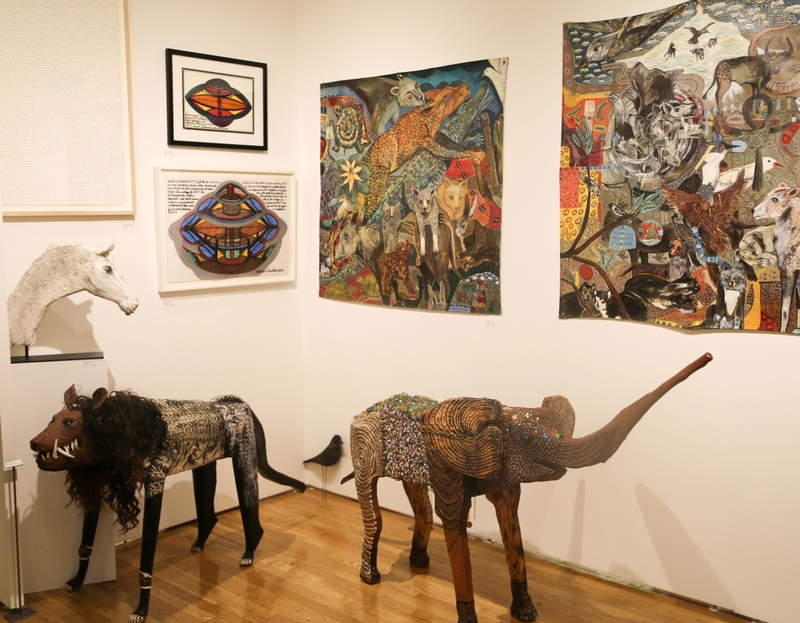 Behind the animals were painted works by Ionel Talpazan, a Romanian refugee to the United States whose encounter with a UFO early in life largely directed the subject of his artwork. Talpazan’s entire body of work focuses on elaborate cross sections of different kinds of alien ships. 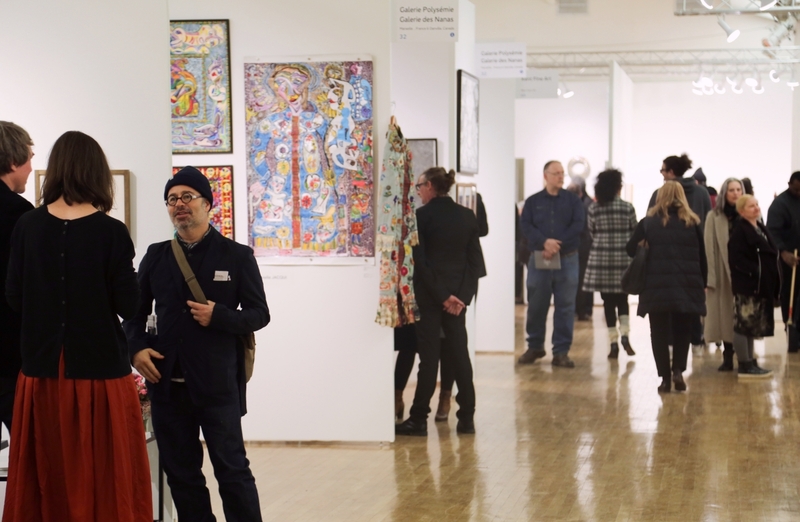 The Outsider Art Fair will return to New York City in 2018. 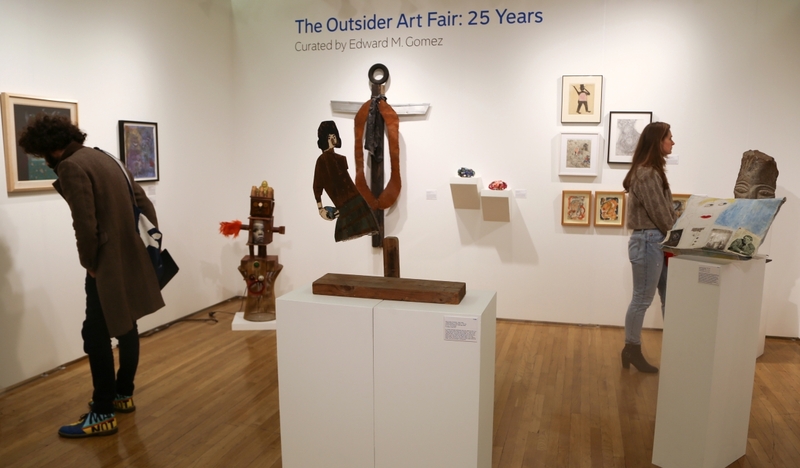 For additional information, www.outsiderartfair.com or 212-337-3338. 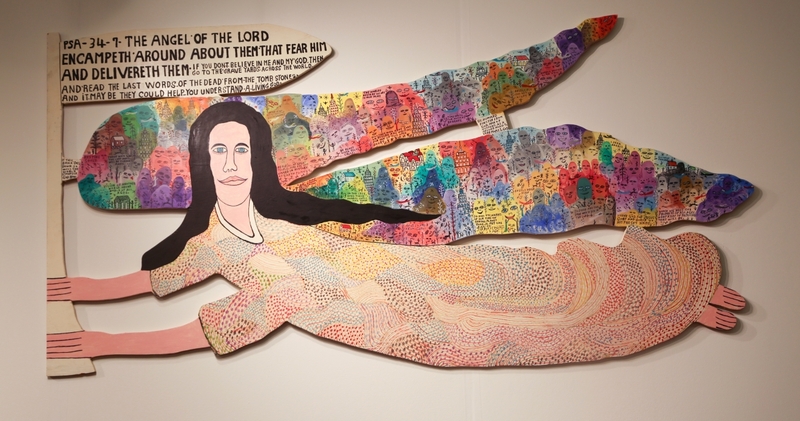 A large Howard Finster angel stood out at Andrew Edlin Gallery, New York City.